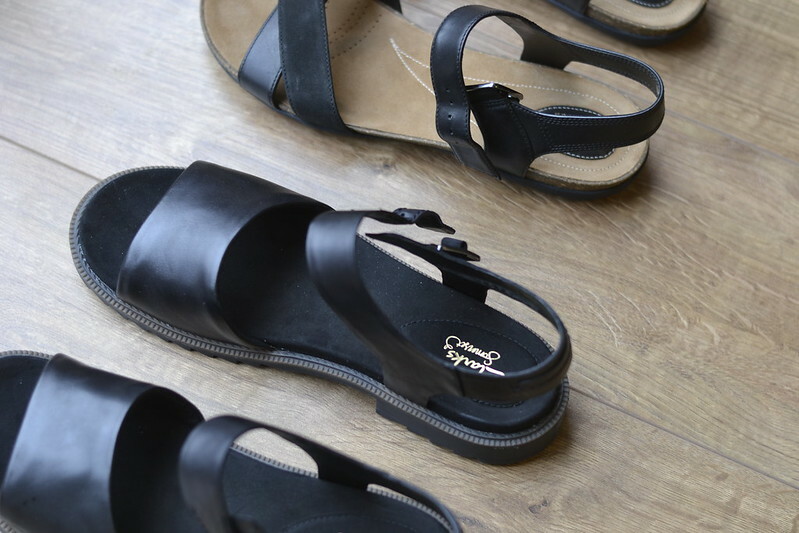 The sad fact of the matter is, if you are rocking size nine feet or larger, now is probably the first and last time you are going to be able to secure your summer sandals. Especially if you have a desire for flat, practical shoes. In the autumn and winter you needn’t worry as quickly but in terms of the summer months? You have to make a plan and get your shoes tied down and fast. If you think I’m joking I received my first pair in the mail last month (These cheap-ish flats from Clarks+ – I have sent these back, being as they are too flat for my feet) and after having decided they were not for me I found a further two pairs to send to my Mum and Nanna for inspection. My mum fell in love with the heavier soled pair pair whilst my nanna preferred the others and also informed me that she had bought hers two weeks prior! See? It pays to get them in early, but why? because last year I didn’t get any, frankly because there were none! It seems that the unfortunate truth for any of us with difficult feet or bigger or smaller feet means far less choice, but seemingly no less demand. Therefore however much I wanted to wait them out for the next sale it just couldn’t be on the cards, although I may be keeping an eye on this pair+ just in case. If you want to know about the two pairs I will more than likely review them later in the year. Upon first wearing they are both nicely cushioned and comfortable although even in the wide fittings they probably won’t be enough for anyone with very wide feet.